Too many of us grew up believing that William Shakespeare was unapproachable, difficult to understand and, very possibly, even boring. Though always acknowledged as great literature, his work seemed from another time and not particularly relevant to contemporary culture. Too often these preconceived notions tended to shade our perceptions even before we have been exposed to even a page of his words. Unless blessed with a teacher able to stir our imaginations, we would be deprived of the greatest writing and theatre of all time. 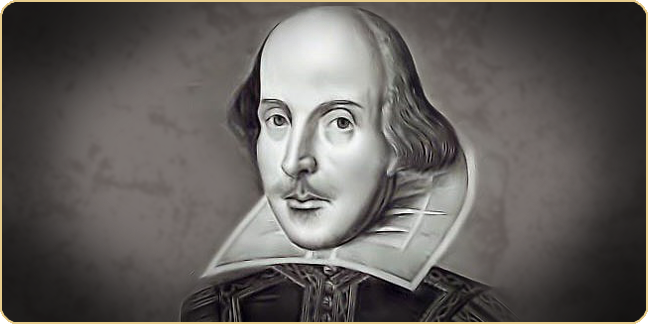 The essential impetus of “Shakespeare For Our Children” is to connect young people with Shakespeare’s words as early as they are able to appreciate, enjoy, and participate in the experience. It is also our purpose to provide a very practical and engaging program for teachers through which they can enable that experience to take place. We know that “Shakespeare For Our Children” works because of its success. The program began at the Ghent Montessori School in Norfolk, Virginia. Sessions of Shakespeare storytelling with the 3rd, 4th, and 5th graders evolved into scenes performed from the plays with which the children had become familiar; and from these we developed actual productions, including Twelfth Night and A Midsummer Night’s Dream. The plays, such as the version of A Midsummer Night’s Dream which is included in the book, were respectfully and judiciously edited to accommodate the requirements of our young performers and their audiences. In each case the marvelous words and phrasings of William Shakespeare are never altered, but rather made more readily accessible to the students during the evolution of discussions, scenes, rehearsals and performance. “Shakespeare For Our Children” became a formal part of the summer session at the Ghent Montessori School, then developed into an independent troupe composed of children from various public and private schools. During our Saturday rehearsals, we learned about the Bard himself, the Globe Theatre, Shakespeare’s London and Elizabethan England. We studied the brilliance of Mr. Shakespeare and his vision, discussing and becoming familiar with his clever plots and his marvelous characters. We shared basic skills involved with experiencing Shakespeare directly through the mediums of performance and stagecraft. Most importantly, we played. Theatre is truly a wonderful adventure, an enjoyable shared activity and discipline that teaches us about responsibility – to the play, to our fellow actors, to our audience, and to ourselves – while at the same time contributing mightily to our individual confidence and self-esteem. Born and raised in New York, Janice Salzberg’s formal training began with four years at the American Academy of Dramatic Arts, where she studied with the venerated Mr. John Lemley, and later work with Christopher Hanna of the Virginia Stage Company and Old Dominion University. A member of Actors Equity, she was a member of the Norfolk Theatre Center repertory company under the artistic direction of Stan Fedyszyn, She has performed the works of Albee, Beckett, Chekov, Miller, Shaw, Shakespeare, Sheridan, Stoppard, and Wilde; and her theatrical résumé includes a production of A Shot in the Dark with Cybil Shepherd and George Morfogen, directed by Arne Zaslove and Peter Bogdanovich. Ms. Salzberg originated the acclaimed Shakespeare For Our Children program at the Ghent Montessori School and directed it for six years. The school’s ardent troupe program performed successful productions of their work at The Generic Theater, and also performed a popular production of Twelfth Night as a fundraiser for the Old Dominion University Theatre Arts program. She is author of the book Shakespeare For Our Children: A Handbook and Narrative, which is based on the Montessori experience; and later organized and taught a series of successful Scene Study classes for adults. Ms. Salzberg’s commercial work includes voiceovers for radio and television, both regional and national in scope, including a series of exhibition-related promotional spots for The Chrysler Museum of Art, and work for CBS affiliate WTKR / News Ch.3; Metro Video Productions; WNIS Radio; Carnival Cruises; Trader Publishing Co.; and New Fitness For Ladies.